Sand Under My Feet: The Gourmand Market by nawwTy’s kitchen’s 20th Run Celebrating BGC’s Passion Fest! Pasalubong is a souvenir gift which visitors of the Philippines buy during their stay in the country to give to friends and family back home. At Manila Cookie Story, every pasalubong package is crafted with love. Their recipes and designs are inspired by all things Filipino - the flavors, destinations, culture, and artistry. Inside every box, you will find our cookies - our scrumptous take on local ingredients - and charming stories on the Philippines. This makes Manila Cookie Story not just a delectable treat but a delightful narrative on the Philippines as well. Southern Grind Bistro is a restaurant with branches in Cebu, Kalibo and Metro Manila and they offer American Southern Soul Food with a Twist: slow smoked BBQ pork ribs, jambalaya, Po-boys and more. The owner Bettina Ong Lim was inspire by the best crepes of all in France which is found in Bretagne. Today Saint Anne Creperie offers their Mango and Banana crepes on food stalls for any events and food fairs. Extra Virgin is a restaurant that offers a fresh take on Mediterranean cuisine. They put a new twists on Spanish, Italian, French, Portuguese and Greek dishes, making your culinary experience Extra Virgin. They also use the finest available Extra Virgin Olive Oil to make their dishes healthy and delicious. 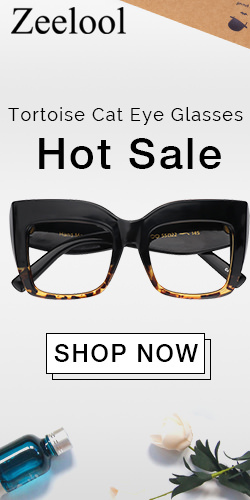 They also have a physical store at the G/F Milano Residences, Century City, Poblacion, Makati City. Dulce Bakery by Mela is all about homemade cakes, desserts, pastries. At the Gourmand Market media preview, we got to try their Dream cakes: La Dulce Chocolat and La Dulce Ube Macapuno. The La Dulce Chocolat contains a layer of moist chocolate cake, decadent chocolate cream then a layer of chocolate ganache topped with powdered dark cocoa. The La Dulce Ube Macapuno has a layer of ube chiffon cake, ube cream topped with scrumptious organic macapuno from Jardin ni Nanay. Is an online food delivery service offering your well-loved comfort food in trays which are perfect for potluck and for every occasion. Their best sellers are: Kare-Kare, Rosemary chicken with homemade gravy and Lechon Kawali. 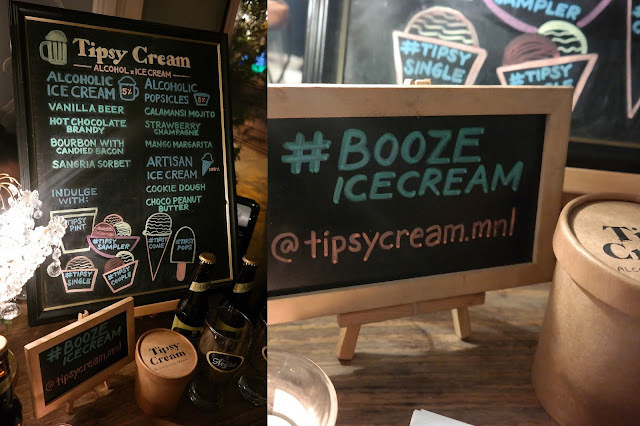 Tipsy Cream Manila is an ice cream shop that combines the fun of alcohol and the sweetness of ice cream. Remember those jello shots you love taking down during your college years? Now this is the ice cream form of it and yet way more sophisticated. 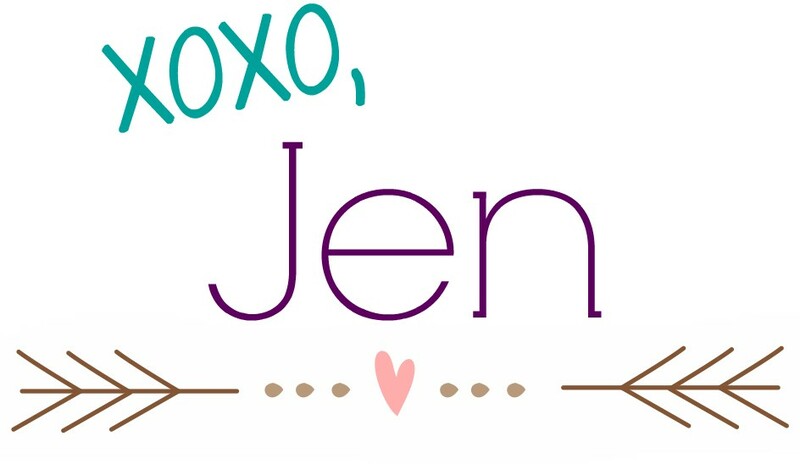 They offer decadent tipsy desserts including Bourbon with Candied Bacon, Hot Chocolate Brandy, and Alcoholic Popsicles. Wu’s Kitchen has a physical store at Kapitolyo Pasig City and they are the home of the best Hong Kong Roastings which includes Suckling Pig, Whole Roasted Peking Duck, Beijing Roasted Duck, Lechon Macau, Roasted Asado, Soy and White Chicken. Brownie Bar makes liquor brownies! Each brownie bar is baked fresh so that it has a crispy shell, an insanely intense chocolate flavor, a dense and fudgy center, and notes of liquor in each bite. Currently they offer Cointreau Orange liqueur, Rum, Frangelico Hazelnut Liqueur, Whiskey, and Dark Lager. They also pair each brownie bar with Brownie Bitters for those who want a more concentrated liquor flavor. The brownie is sold as a bar and comes in a handsome box so gift-givers don’t need additional wrapping. At The Gourmand Market adults can also enjoy a variety of San Miguel beers which they can pair with the different food offered by the 9 brands above. San Miguel Premium-All Malt has a smooth, full-flavored, golden, premium lager with balanced bitterness. On the other hand. 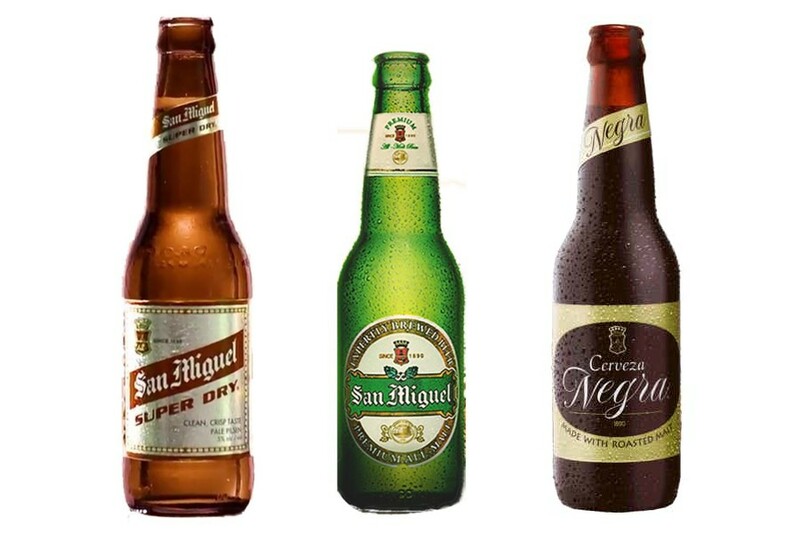 San Miguel Super Dry has an overall dry taste and an elegant quick finish. Its clean, crisp hops)/ flavors instantly make this brew the absolute beer that will elevate your drinking experience. Last but not the least, is the full-bodied dark. lager, Cerveza Negra, with rich caramel tones made from roasted malt. The right balance of bitterness and sweetness entices drinkers to soak in its unique flavors. This bold, dark brew brims with the sweet taste of roasted malt and invites only those who are as bold and daring. The starter: San Miguel Premium All-Malt's refined and balanced flavor is great with white meat and seafood. With its distinct taste of slightly sweetish and with balanced bitterness, it gives the drinker a stylish finish. The Main: Roast beef, sausages and other meat dishes to name a few are best paired with San Miguel Super Dry. Its overall dry taste and elegant finish pairs perfectly with red meats. The dessert: With caramel undertones that blend well with the heavenly taste of sweet endings, Cerveza Negra goes perfectly with desserts. Definitely a match made in heaven as the moonlight fades into the sunlight. 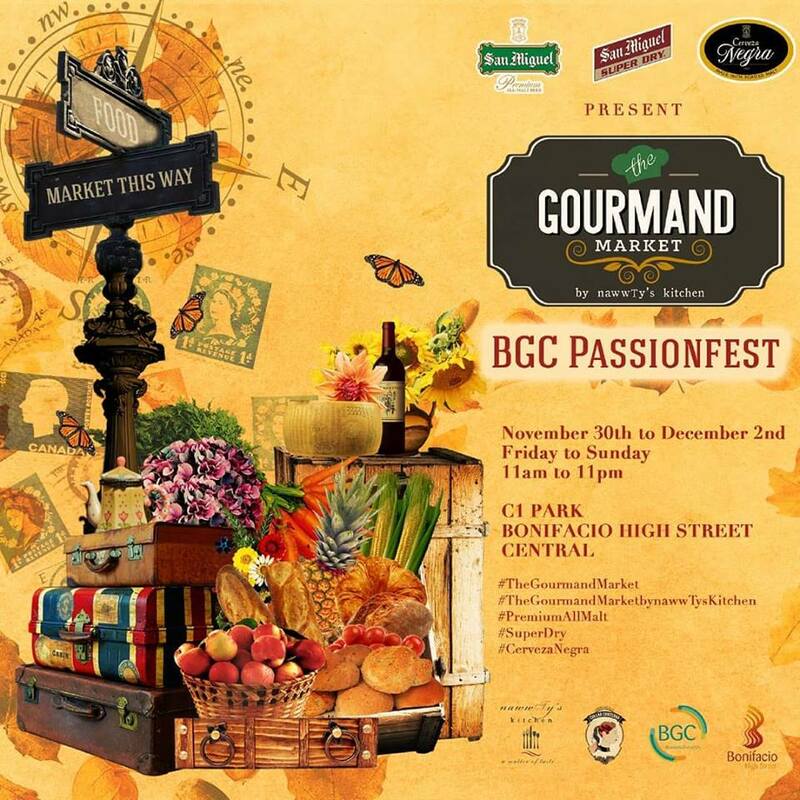 Visit the The Gourmand Market at C1 Park, Central Square, BGC (fronting cinemas) from November 30 - December 2 (Friday to Sunday) from 11am to 11pm. See you there!